One of the things that new couples look forward to is their honeymoon. The events leading to the actual wedding could be quite stressful that is why most couples prefer to go big on their honeymoon. What some newlyweds overlook, though, is the fact that this holiday does not always have to be expensive or an exotic destination a million miles away. There are plenty of all inclusive resorts to choose from within the U.S. In fact, they do not have to look very far because in this article, we will take a look at three honeymoon destinations within the country that are just as captivating as the ones outside the country. 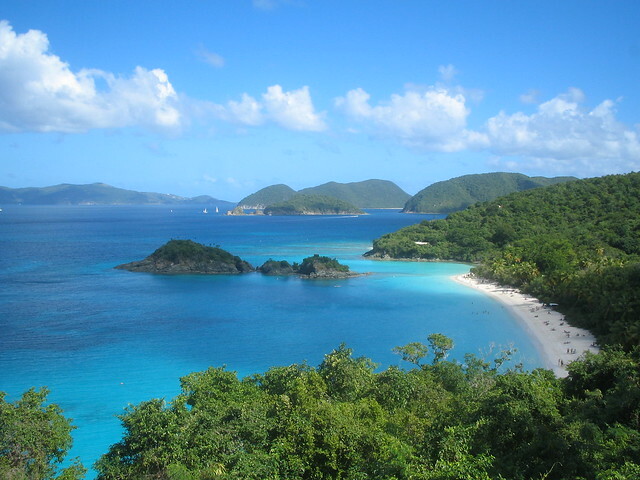 Wedding expenses can sometimes go through the roof, and if this leaves you with a tighter budget for the Caribbean honeymoon you’ve dreamed of, then you should consider spending some time in the U.S. Virgin Islands. The best time to visit is during the summer, when the archipelago’s pristine beaches are at their best—you can relax and soak up the summer sun while enjoying some quiet time with your partner, or dive deeper into its clear waters and see the definition of underwater beauty. One of the reasons why Europe is a popular destination for honeymoon packages is that it somehow indulges ones fantasies of living in a classic novel by Jane Austen. Its classy architecture and the rich history that moulded the European culture somewhat evokes a romantic aura for couples old and new. 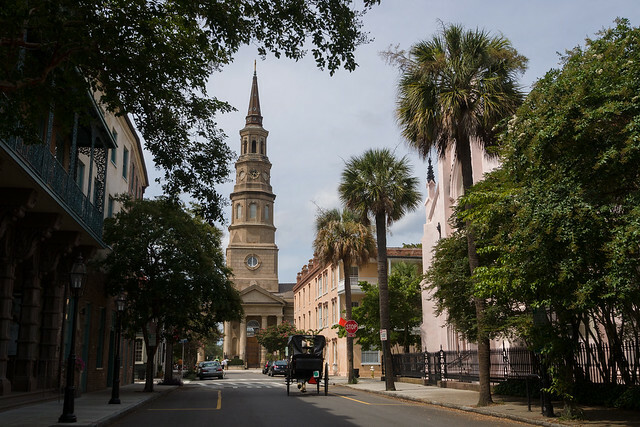 Experience this without leaving the country by visiting Charleston in South Carolina. What makes this the perfect honeymoon destination is that you and your partner will instantly be taken back in time with its cobblestone streets, horse drawn carriages, and villas and manors that are at least a hundred years old—the perfect setting for any romantic getaway! 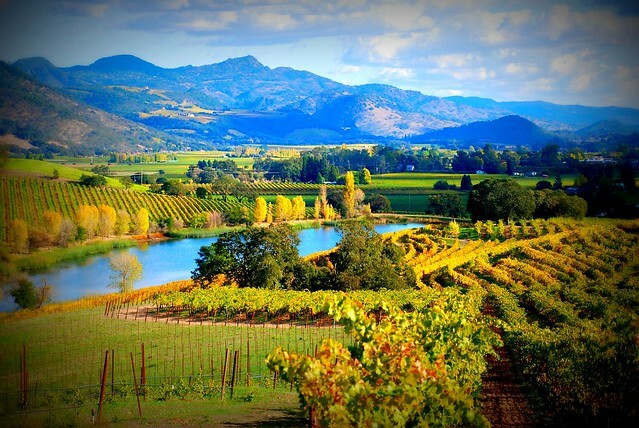 Napa is considered as the mecca of wine connoisseurs in the United States, so if you and your spouse are into wine, then you should definitely consider going to Napa for your honeymoon. Booking all inclusive resorts in Napa will make you appreciate wine on a more personal level, because you will see up close that making wine is not a mere process guided by chemistry, but an art form. Enjoy exclusive tours its famous vineyards while tasting some of their best potions, and visit quaint wineries that will show you how wine is made from planting to bottling. You can even do this while enjoying a meal or two at Napa’s most unique restaurant, the Napa Valley Wine Train. If you choose to visit Napa, don’t forget to purchase a bottle—a token of your honeymoon to be opened on your 25th anniversary! Going out on a holiday does not always mean that you have to travel a thousand miles from home just to make sure that it’s going to be a good one. Sometimes, you do not even need to leave the country to make sure that your holiday will be one for the books. If it’s just to have one of those much-needed weekend getaways, then there’s no need to leave the country, right? Let’s take a look at five of the best hotels within the United States that are worth a visit or two. 1. Treehouse Point in Fall City, Washington. Reconnect with the child in you with an accommodation that lets you spend your holiday in a tree house. Wake up to the relaxing sounds of birds chirping and the smell of fresh and lush greenery surrounding your treehouse. If you’re craving for that time out from the hustle and bustle of the city, then this is the perfect vacation spot for your weekend getaways. 2. The Pierre in New York City. See the Central Park in a fresh new light when you stay at The Pierre. Get a taste of the view every Upper East Sider enjoys every morning, and the luxury that every room in the hotel offers. 3. Mandarin Oriental in San Francisco. Located at the heart of San Francisco, Mandarin Oriental offers a good vantage point of you to see the spellbinding view of the Golden Gate to Oakland Bay Bridge while enjoying one of the most luxurious rooms that complete the ambience for your prestige holidays. The hotel’s strategic location also helps you make the most out of your stay—it’s a good place to start touring the city. 4. Saguaro Hotel in Palm Springs, California. Saguaro is the hotel every sun loving American must visit. Located at the heart of the desert in Palm Springs, it will surely give you the illusion of being in an exotic place while being a few hours of drive from home all along. A few nights’ stay in Saguaro Hotel will definitely bring out the undiscovered, free-spirited side of you. 5. The Aurora Express Bed and Breakfast in Fairbanks, Alaska. You might have read about the hotel in Europe that lets its guests stay in a converted airplane. We have the same thing in Alaska, except that this one is an actual moving train. What seals the deal with this hotel is its mountain-side railway that offers its guest the most breathtaking panoramic views while on board. If you are the kind of traveler that lives for those unplanned weekend getaways, then you definitely need to bookmark this list on your phone, stat!